Full Arabian Bay Stud Colt with flashy four stockings! Friendly disposition and great athletic potential. 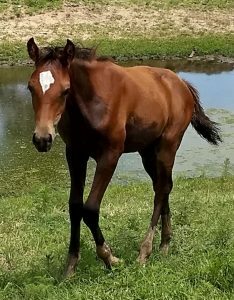 Double Rushcreek breeding out of the incredibly athletic Lad–stud prospect!